Glowing orange-brownish EMP facade. This is not a typical EMP museum photograph, but I like the composition and in particular the colors. I have a number of unfinished (photography) businesses at the moment (writing blog posts is just one of them), which are the reason for the irregular updates of this blog. This is the second blog post meant to share faraway summer holiday photographs from Seattle (the first one was the Seattle Central Library). 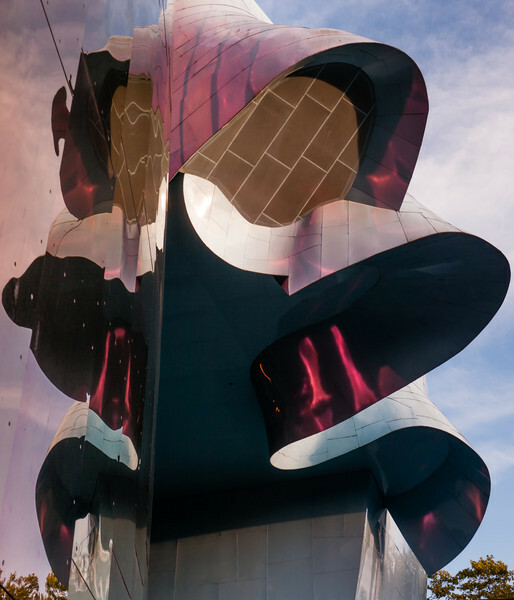 The second building that I was interested in and wanted to photograph in Seattle was the Experience Music Project (EMP) museum. 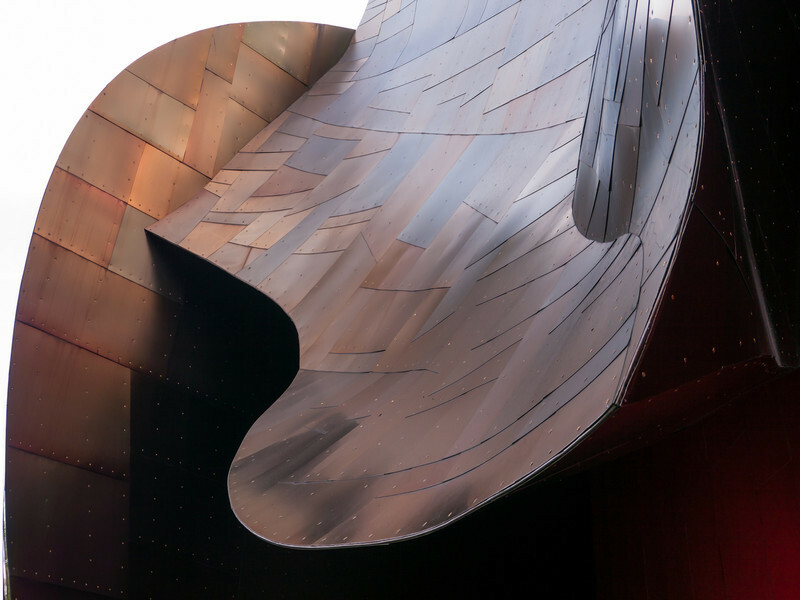 The EMP museum is a wildly crazy building of incredible colors, shapes and curves. 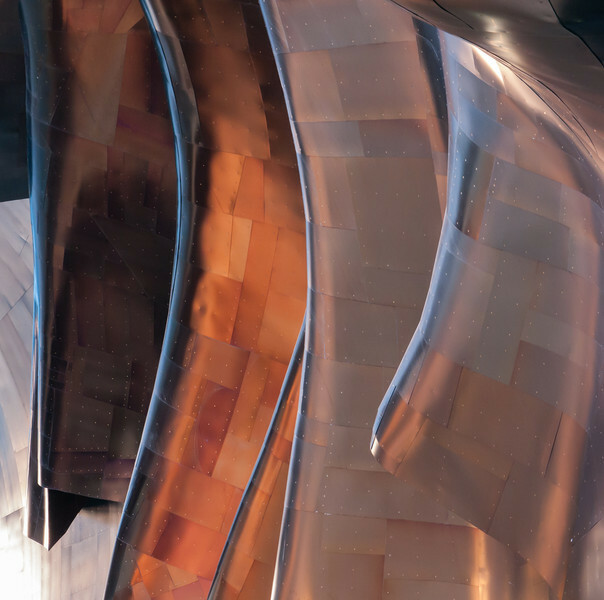 It has been invented by Frank Gehry, who has designed several buildings that seem to lean and bend in unexpected ways (unfortunately, the EMP museum is the only one that I have seen so far). I visited the building (only the outside) three times and therefore even had the opportunity to experience its facade with different shadows and under different lighting. Most of the photographs shown here have been taken on my first visit, when the sun was still high in the sky and fascinating pink and orange light was emanating from the building. These were the most unexpected and colorful plays of light that I have ever witnessed. 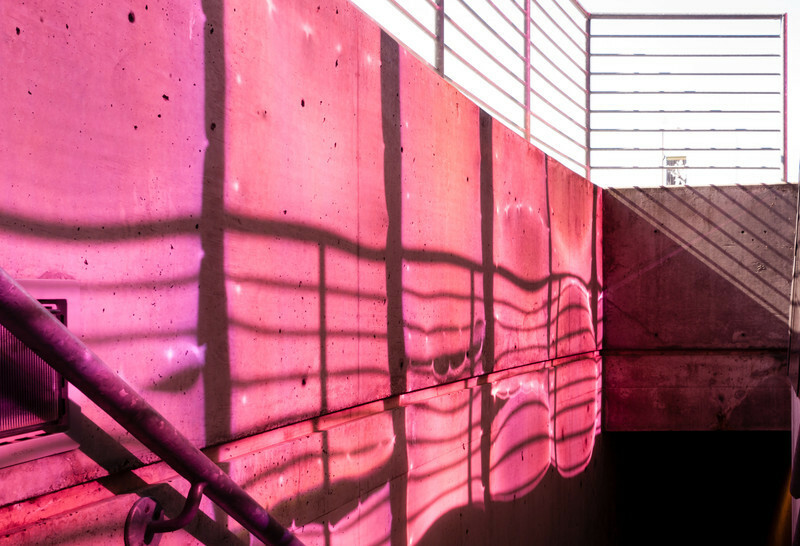 Of course, technically, these are not even photographs OF the EMP museum itself; but rather compositions of light that is shed of the facade. 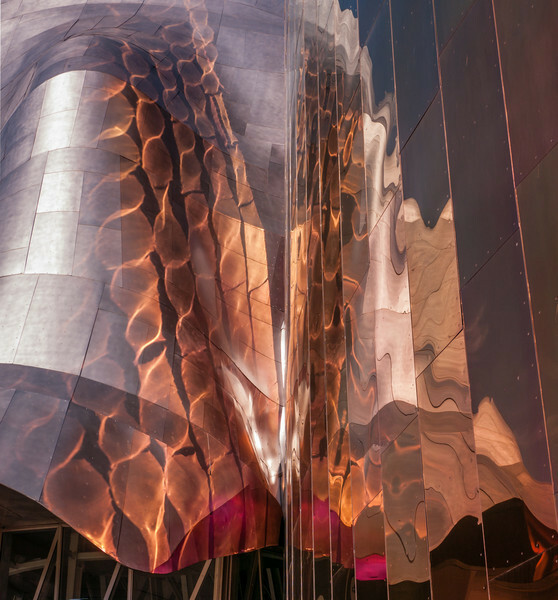 Besides the play of light category, some of these EMP museum photographs also fit the facades and the reflections themes. I thank you for your visit, hope you enjoy and wish you peaceful and enjoyable holidays! Reflected plays of light on the EMP museum. I am a little bit reminded of butterfly wings. 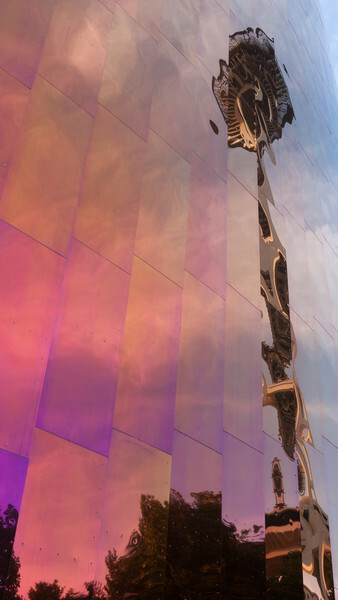 Space Needle reflection in the EMP museum facade. 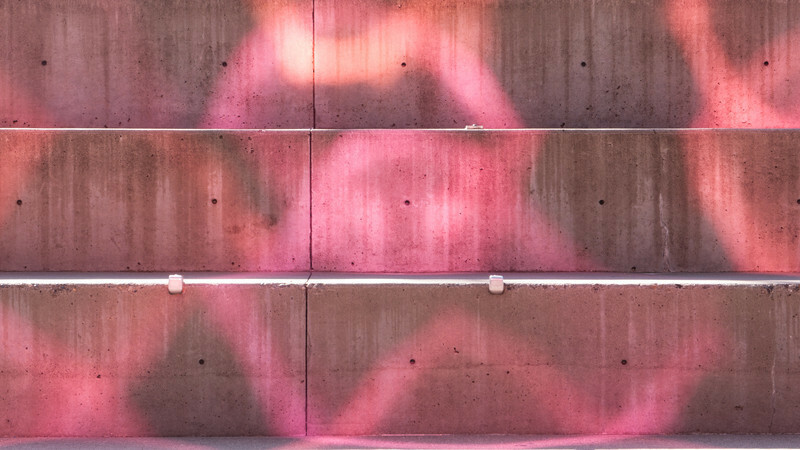 Convoluted EMP museum facade and plays of light. Pink and orange EMP museum play of light. EMP museum play of light and shadow (the "shadow" in the pink-orange area is the reflection of the shadow). Curvatures on the brownish EMP museum patchwork facade.